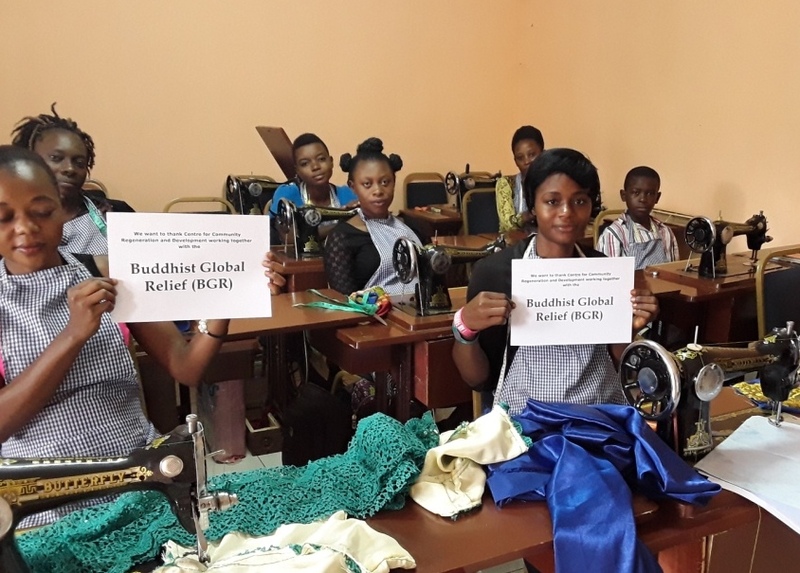 In June 2017, in partnership with Buddhist Global Relief, CCREAD established a vocational training center for women and girls in Buea’s Mile 16 Bolifamba, a slum community of 17,850 people, 98 percent of whom are peasant farmers. More than 85 percent of the community lives below the U.N. poverty line. Residents here struggle to pay for food, medicine, housing, and school fees for their children. A recent influx of refugees and other migrants has further narrowed the resources and jobs available to impoverished people. Families headed by widows and single mothers are at particular risk, as these women traditionally encounter barriers in finding work. More than 60 percent of children in these families do not complete a single year of schooling. The goal of the new training center in Mile 16 Bolifamba is to lift women and girls out of poverty by providing them with practical vocational education and entrepreneurial and life skills training, as well as seed capital to start their own businesses. 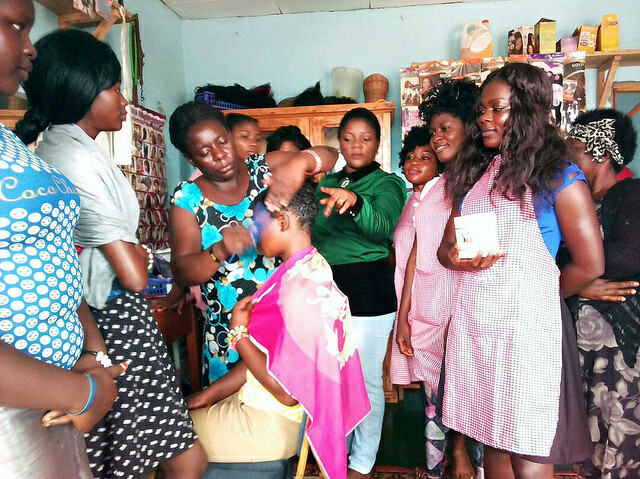 In the center’s first year, 78 widows and single mothers completed vocational training in either tailoring or hairdressing, and 30 of these received microenterprise seed grants. By year’s end, an additional 186 women were enrolled in CCREAD’s training programs. Students and graduates of the program receive coaching and mentoring in addition to their vocational studies. The center also provides training in literacy, writing, bookkeeping, project management, and entrepreneurship skills, both to women enrolled in the main training programs and to hundreds of other women and youths in the community. An additional program in information and communication technologies is currently being planned. In fostering social and economic empowerment for training participants, CCREAD seeks also to reduce extreme suffering throughout the broader community and across generations. As mothers achieve the tools to earn a secure livelihood, the program improves opportunities for their children, and especially their daughters, to complete their basic education and eventually to achieve their own economic success. In supporting women in gaining social and economic independence, the program reduces their exposure to sexual assault and other human rights abuses. 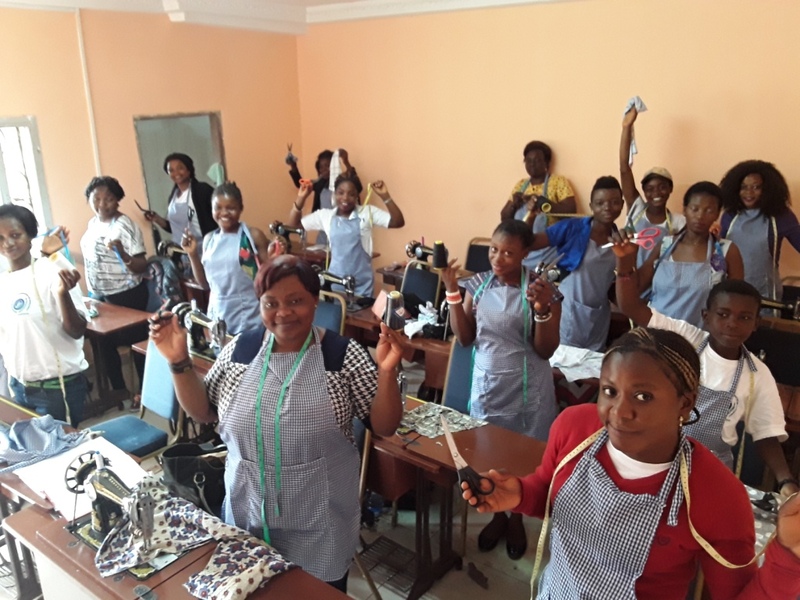 Further, as women create microenterprises funded by the seed grants, they are encouraged to share their skills with other women and girls, thus expanding the reach of the program’s benefits. CCREAD’s greatest challenge in this first year of the partnership with BGR was to meet the overwhelming demand from women and young people, who came not only from Bolifamba but from communities throughout Cameroon. At the end of the program’s first year, more than 200 women and girls had preregistered and were on the waiting list for future placement. CCREAD now hopes to build a permanent vocational and empowerment center that will incorporate schooling for children alongside expanded training for women and youths. CCREAD reports that the program has already become a model for training programs hosted by other local organizations throughout Cameroon. This entry was posted in Education, Ending global poverty, Engaged Buddhism, Projects & programs, Women's livelihood and tagged Cameroon, CCREAD-Cameroon, Engaged Buddhism, Vocational education for women, Women's livelihood. Bookmark the permalink.